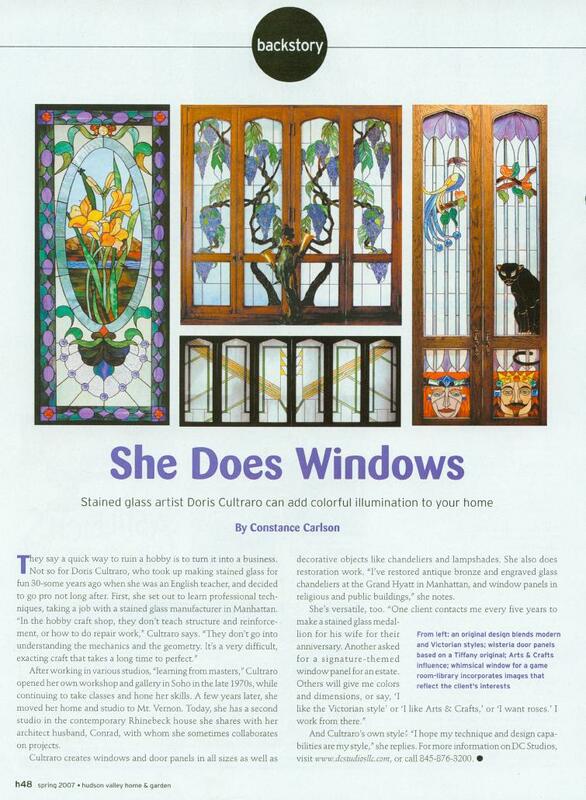 March 28, 2011: "HV Biz- ARTS" vol5.No.13 Off the Palette - Doris Cultraro, featured artist. 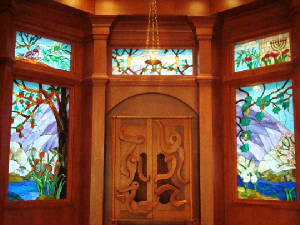 February 2009: "Westchester Magazine/Online blog - Monthly Resident Expert" Shedding Light on Stained Glass. Nov. - Dec. 2008: Dutchess Arts Council Website. Feature Member Artist of the Month. Feature articles discussing restoration of this 120 year old figural panel from a Hudson Valley residence (LEFT). 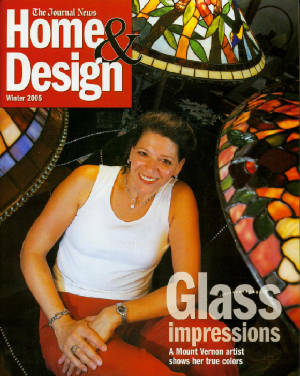 (left) Hudson Valley Home and Garden Magazine - April 2007. Feature "Backstory" Story. 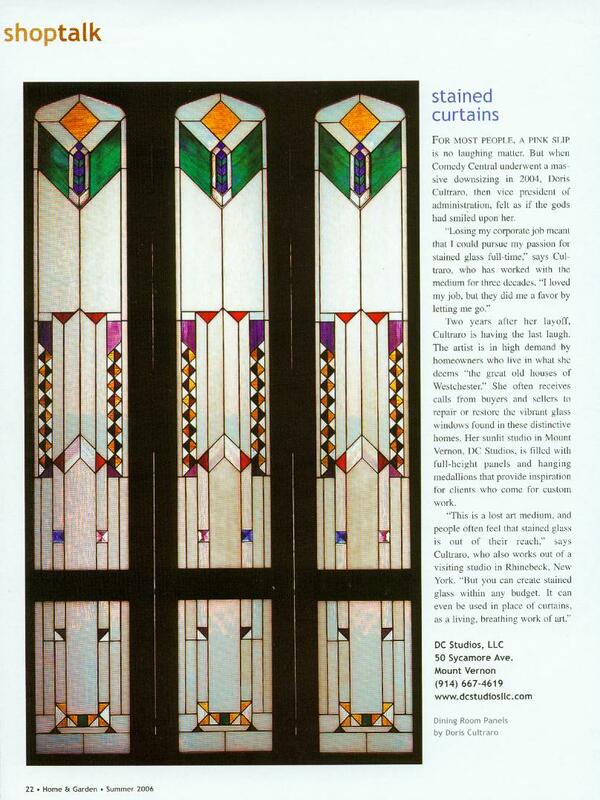 Ronni Citron's blog post for her article in CHRONOGRAM MAGAZINE "THE CRAFT: DC STUDIOS" MAY 2011 (econesting.com). 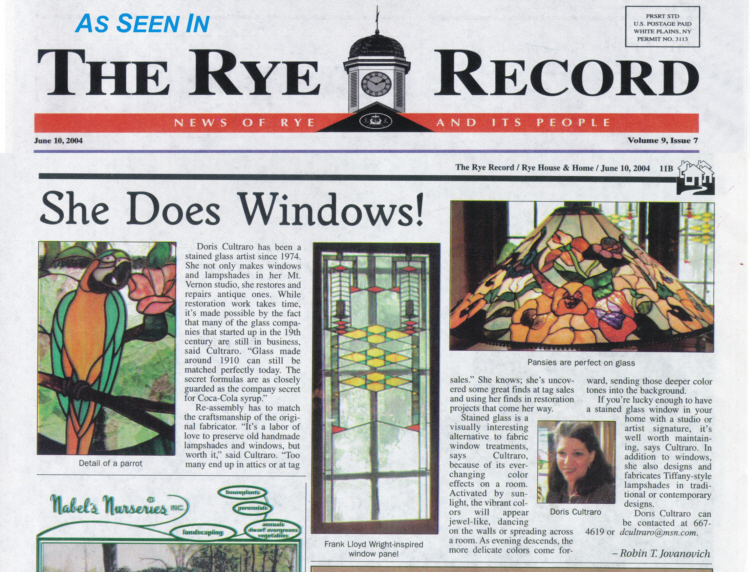 June 2005: "The Rye Record" - Home Issue: A Window to Other Worlds. 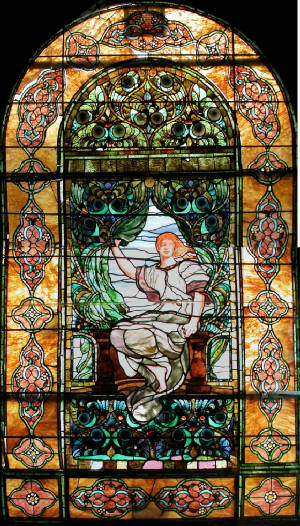 Dec. 14,1992: "The Daily Argus" - Stained Glass restored to level of art by Mount Vernon resident.